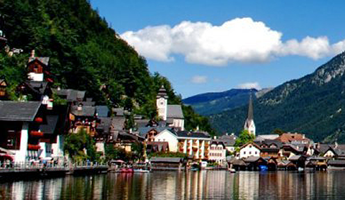 Since December of 1997 the region of Hallstatt has been honored with a position on the UNESCO World Heritage list. This was mainly due to significant archaeological and speleological sites, and rare fauna and flora. The special significance of Hallstatt is based on its archaeological heritage: The salt in Hallstatt, the 3500 years of cultural continuity dating back to the Middle Bronze Age, has justified the richness of the grave finds, after which an entire era has been named Hallstatt period. The glacier area of the Dachstein and the karst formations with the internationally known caves are of particular speleological interest. The lush flora and fauna are not typical of the bizarre mountain landscape with the fjord-like lakes and contribute very significantly to their importance. For visitors, especially the 2002 newly opened Hallstatt Museum, the world famous ossuary of the catholic church and the mine is interesting. In modern salt mines in Hallstatt (since 1311, Salzwelten Hallstatt) have been discovered repeatedly traces of an older, prehistoric mining. There are three successive prehistoric mines, the North Group (1600-800 BC), Eastern Group (800-300 BC) and the Western group (around birth of Christ). A prominent position have the findings from the saltmine, as have here obtained by preserving in salt and organic finds such as textiles, leather, fur, wood. 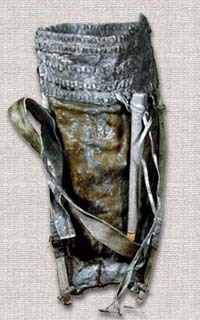 Since these materials are few at other archaeological sites, especially the textile remains in archeology have special importance for research.